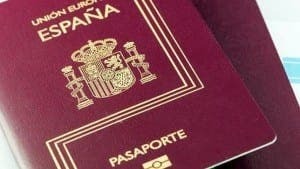 FOLLOWING Britain’s vote to leave the European Union, some have suggested that expats claim Spanish nationality in protest. The uncertain impact of Brexit on expats has others also considering Spanish citizenship. – Give up your British nationality and passport to become a British citizen. – You can apply to become a naturalised Spanish citizen after you’ve lived in Spain for an uninterrupted ten years prior to the application. There are a few exemptions. Refugees in Spain only have to wait for five years before applying and nationals from Spanish-American countries wait only two. – You will need to speak Spanish. Applicants must prove ‘good citizenship’ and a ‘sufficient’ degree of integration into Spanish society, for example, taking part in social activities that are part of the Spanish way of life. – Those applying for residency in Spain may be required to produce evidence of sufficient financial means to support themselves. You may also be asked for proof of private or public healthcare insurance. – Applications must be submitted to the Civil Registry where you live in Spain. Once you have been approved, you have to swear your loyalty to the King and promise to obey the Spanish constitution and laws. – You can also acquire Spanish nationality through marriage, if you have been married to a Spaniard for at least one year, or by having Spanish parents. Most of the Brits I meet do not have sufficient Spanish [and zero Andalu], and are already cheating the system one way or another. Agreed but even if they do speak enough Spanish, it won’t help them if they have been resident in Spain for less than 10 years and it doesn’t help people who are currently living in the UK who want to retire/move to Spain in the future does it? So it is only a solution for a few people and doesn’t have much future.